People seek me for counseling for a host a reasons. Some of those reasons are blood sugar related. The person is either a Type II diabetic or they are on the bubble. One of my first responses that will swiftly improve blood sugar is dietary changes. Let’s be honest. That is not something people like to hear. Change…my…diet? Can’t I just take a pill instead? There are natural supplements that I do find beneficial and will work along side better, and healthier eating, but nothing beats good old fashioned will power–jumping head first into eating healthier. Across the board, for better overall health, nothing beats eating healthy. If you’ve read my blog post “Fully Loaded Inflammatory Foods” that right there is a good start. Avoid sugar, processed foods, and starches. But even that can be a little vague if you are unfamiliar with terms like processed foods and starches. Maybe a person doesn’t know what is or isn’t a carbohydrate. Now and then we have to simplify, or over simplify, how we eat in order to know what changes need to be made to our diet. “Is this food ok to eat?” is a common question. To put it simple, in order to attain healthy, normal blood sugar levels we have to eat foods that do not secrete insulin. Insulin is a hormone that raises blood-glucose levels. Its job is to store left over glucose for a rainy day. Unfortunately that rainy day never comes, so it continues to store in the form of fat, usually visceral fat also known as belly fat. A low-carb diet is designed to produce the least amount of insulin which means better blood sugar levels. If continued long enough, I personally believe there is a chance at reversing Type II diabetes. I have clients that as long as they eat correct their blood sugar stays in the normal range. 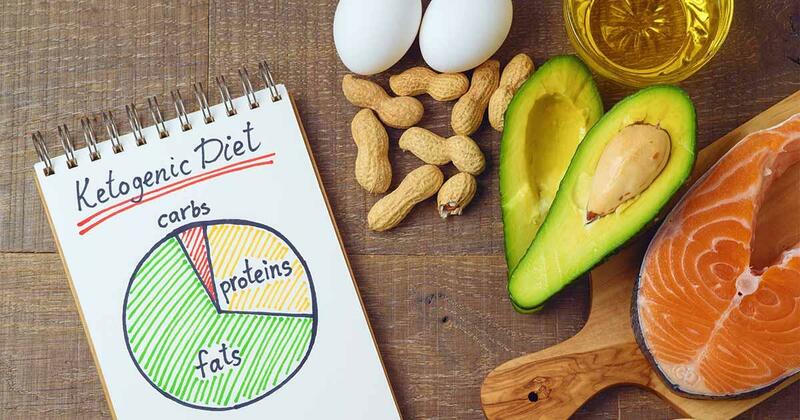 A low carb diet, such as LCHF, consists of eating whole foods: animal protein, vegetables, fruits, nuts, and of course healthy fats. Start simple. Make a list of foods in each category you like. Start with animal protein. Which animal proteins could you eat on a regular basis? Such as beef, chicken, fish, and pork. Then make a list of foods in the vegetable category. Which green vegetables could you eat regularly? Write those down. Then in the fruit category, which berries could you eat on a regular basis? Once you’ve created a list, now you know where to start. It will take some planning and preparation but it can be done. If you need further assistance come to see me and I will help make adjustments. A great resource I point people to is Diet Doctor. They really break down low carb for beginners. Is it possible to reverse Type II diabetes? I believe it is. If you eat foods that keep your blood sugar in the normal range then you’re on the right track to a long, healthy life.